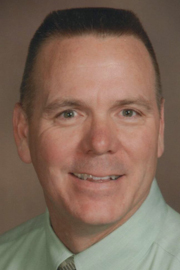 Michael Walker is the Director of the Baylor University Doctor of Physical Therapy Program. Dr. Walker completed a Masters of Physical Therapy (1995) and a Doctor of Science in Orthopaedic & Manual Physical Therapy (2002) from Baylor University. He is an ABPTS board-certified Orthopaedic Clinical Specialist and a Fellow in the American Academy of Orthopaedic and Manual Physical Therapists. Dr. Walker has held leadership positions in physical therapy education over the past 10 years. Most recently, he served as Dean and Associate Professor for the South College School of Physical Therapy in Knoxville, TN. He is a past Vice President of Operations for Evidence In Motion and Deputy Director for the US Army-Baylor University Doctoral Program in Physical Therapy. He has served over 27 years in the US Army. Dr. Walker has presented research and continuing education courses both nationally and internationally, and was awarded the Rose Excellence in Research Award from the Orthopedic Section of the American Physical Therapy Association. He maintains an active research agenda in the areas of physical therapy education, spinal and extremity manual therapy, and therapeutic dry needling. Follow Dr. Walker on Twitter and other social media @mwalkerpt.